The results of the 3rd Call For Projects were announced to delegates by the President of FIAT/IFTA, Mr. Jan Muller during the FIAT/IFTA World Conference in Vienna, October 10th 2015. 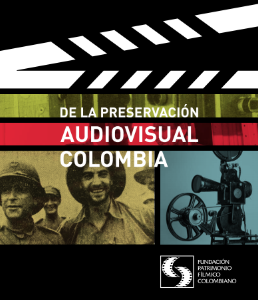 The collection to be saved marks a period of significant social change and turmoil in Colombian political and social history, from the recognition of the role of women in Colombian society to the guerilla war actions of M19 and eventual peace accord. The committee considered that the selected content, project and budget plan was well defined, the theme based selection strong and the overall quality of the applicant was impressive. A large collection of private family film and images of over 5000 reels of 8, 16 and 35 mm. film and glass plate images from the 1920s. The collection is impressive, unique and of significant societal & heritage value. The committee was very impressed with the parent organization, its experience and expertise. The Save Your Archive program offers collaboration and professional support from within the FIAT/IFTA network to further develop the project. The collection: ‘Portraits and Encounters’ – A Valorization project. The committee highlighted the following project for Special Mention under the Save Your Archive banner. The project involves the detailed processing and reconstruction of selected television programmes from the 1960-1971 documentary series ‘Portraits and Encounters’, featuring Croatian artists, sculptors, painters and writers. The committee cites the project as a very good initiative and example of the valorization of an historic archive collection and commends the role and work of the HRT Croatian archives in developing this project. Each of the selected projects will be featured and promoted at the FIAT/IFTA world conference in Warsaw, October 2016.